The United States Congress designated the Sierra Ancha Wilderness (map) in 1964 and it now has a total of 20,253 acres. All of this wilderness is located in Arizona and is managed by the Forest Service. Centuries ago the Salado Indians built and lived in cliff dwellings in this region, and the ruins of many of them still stand today. 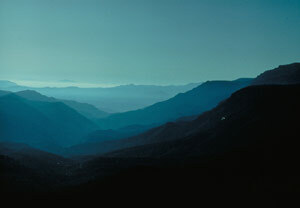 An "original" Arizona Wilderness, Sierra Ancha was established as a Primitive Area in 1933 and as a Wilderness in 1964. Uranium exploration carved a few roads into this area in the 1950s, roads now being reclaimed by natural processes. Exceptionally rough, scenic, and often inaccessible, Sierra Ancha consists of precipitous box canyons, towering vertical cliffs, and pine-covered mesas. Elevations range from 4,000 feet near Cherry Creek to more than 7,400 feet on several high peaks, with the highest point on Aztec Peak at 7,733 feet. Chaparral covers lower elevations with turbinella oak, manzanita, and mountain mahogany. Some pinion and juniper cloak the east side of the Wilderness, dropping to semidesert brush and grassland below. Several springs usually offer water year-round, but there is no guarantee. Thirteen trailheads give access to a well-maintained network of foot and horse pathways. The Center Mountain Trail climbs 2.5 miles for some excellent views of the surrounding area. Group size is limited to 15 people and 15 head of livestock. Length of stay is limited to 14 days. Planning to Visit the Sierra Ancha Wilderness? How to follow the seven standard Leave No Trace principles differs in different parts of the country (desert vs. Rocky Mountains). Click on any of the principles listed below to learn more about how they apply in the Sierra Ancha Wilderness.